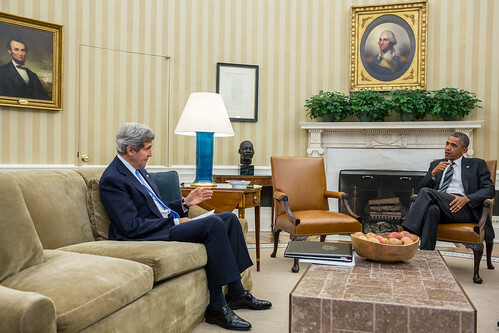 Original Caption: "President Barack Obama meets with Secretary of State John Kerry in the Oval Office, July 29, 2013." Today's Kitsch Cover is Adele performing The Cure's "Lovesong"
"Scuze me while I check under the cushions, Barack. I know Bill Gates had a White House visit back in April and he might have accidentally dropped some $100,000 bills out of his pockets when he sat here."